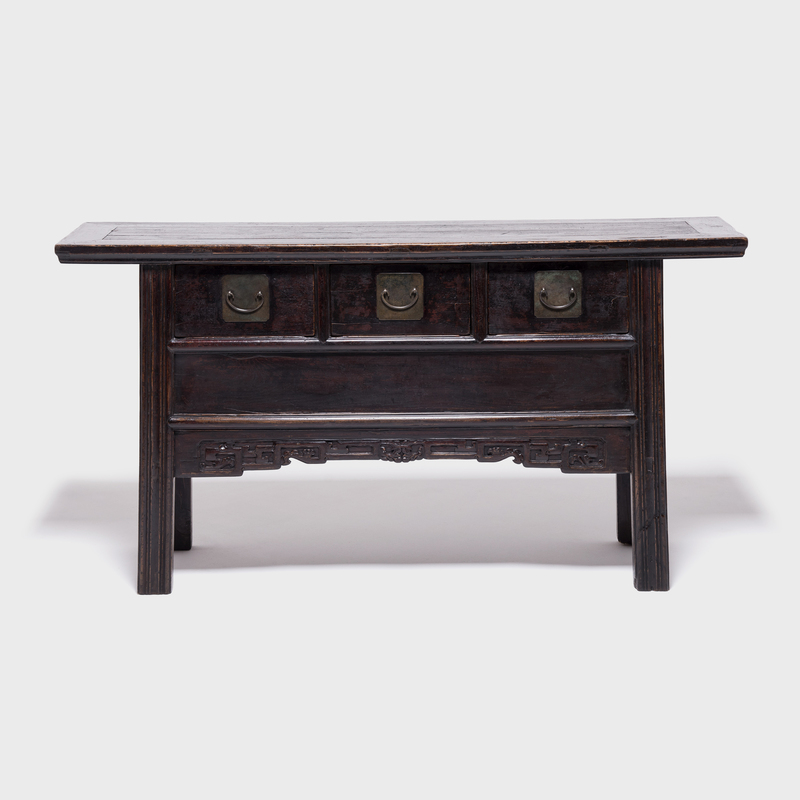 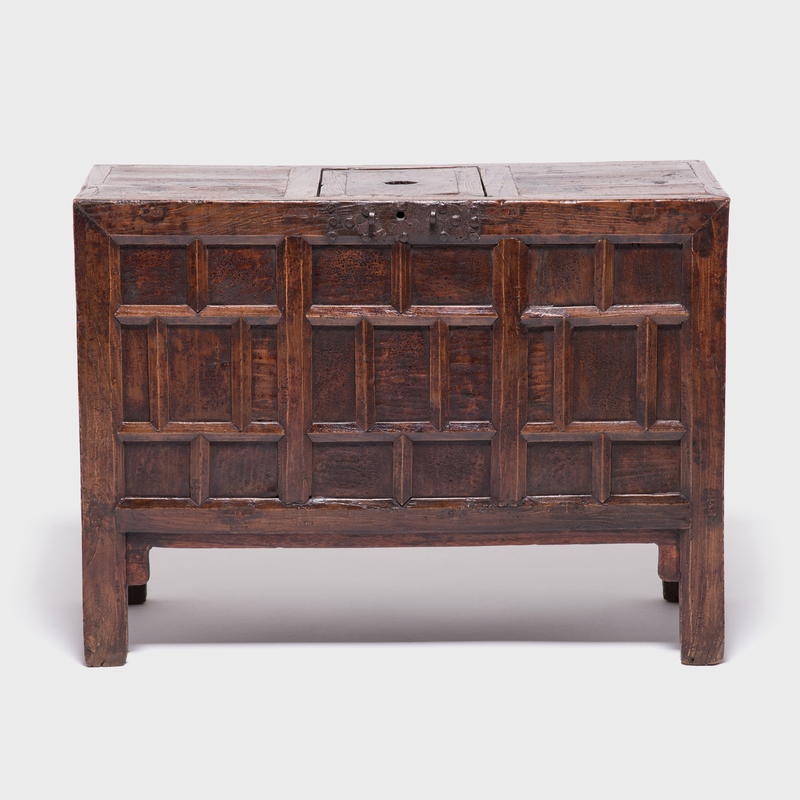 W: 40.0" D: 16.5" H: 29.5"
This 19th century chest from Northern China was designed as a large bank to collect & hold monetary savings. 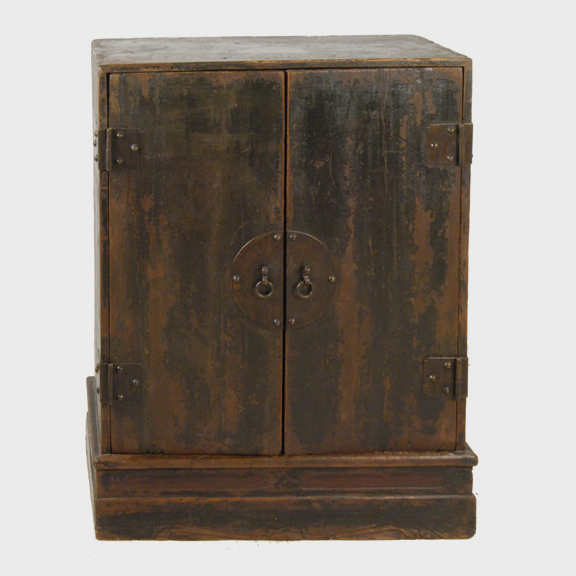 The slot in the removable board on the top allows coins to be inserted and later removed by lifting the board. 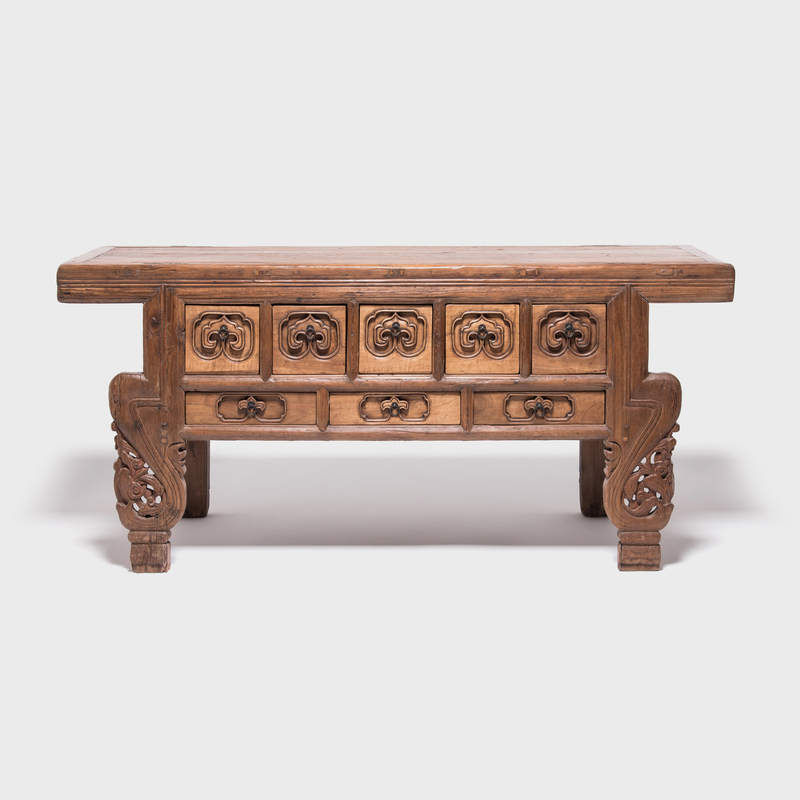 The carved multi-paneled front was typical of provincial furniture of this period. 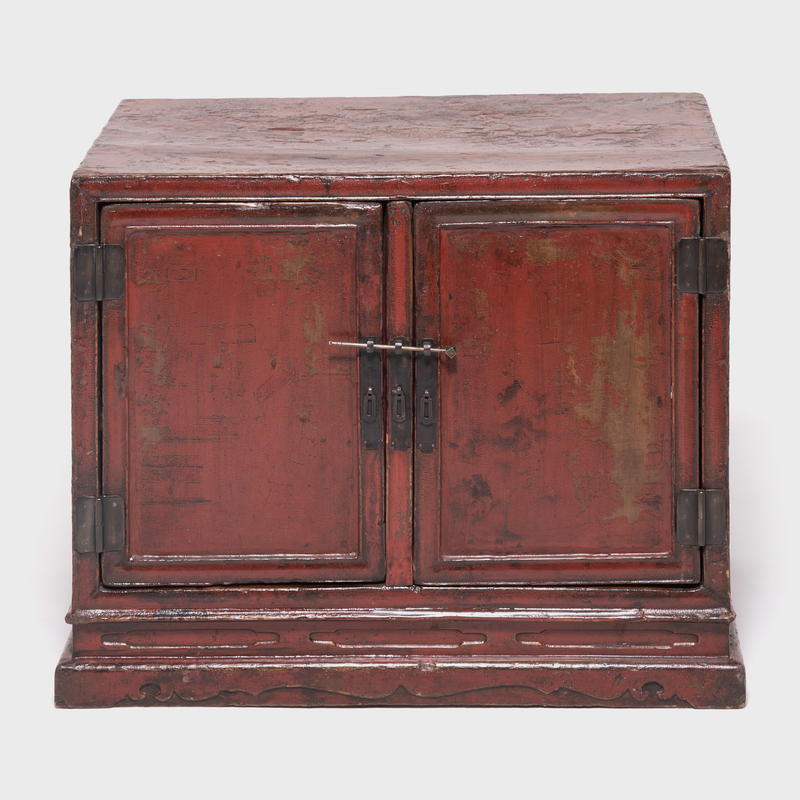 The lacquer & iron fittings have developed a pleasing texture and patina after many years of use.